The Enchanted Moon Water Globe features Jessica Galbreths art, Enchanted Moon, encased in a beautiful water globe. The base is a faded lavender covered in vines, flowers, and butterflies. This water globe is made of resin. 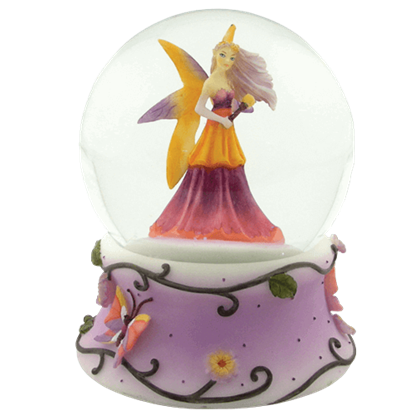 Welcome a touch of fantasy to your home with the Fairy Snow Globe Trio. 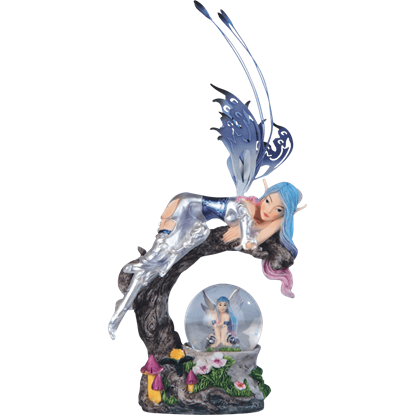 This set includes three distinct cold cast resin statues featuring floral fairies, each seated next to a glass orb where within lies a different whimsical detail. 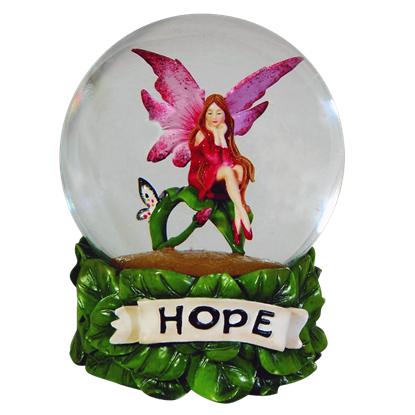 The Hope Water Globe by Amy Brown features a fairy dressed in red, resting on a leaf. A butterfly rests behind her on the leafs stem. The base of the globe has a banner across the front that reads Hope The fairy is made of cast resin. This fairy is tired after a journey and needs to rest in the elegant Tree Branch Snow Globe. Embrace the nature of this fantasy being and let her inspire you to take a moment to relax after a long day.